Our Church has a silent auction in the Spring, as a fund raiser. This year I decided to do a Christmas ornament. 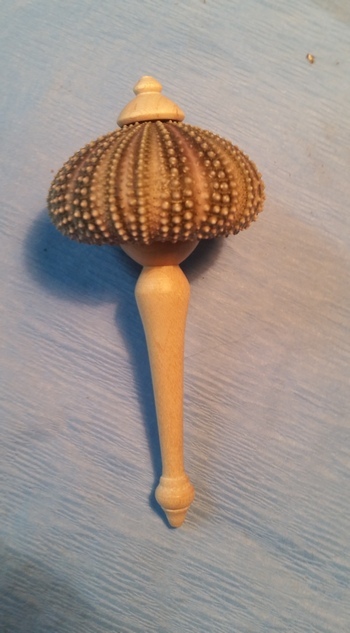 This is a hand picked ( I walked the beach) & prepared Sea Urchin shell. it's former occupant had left it in slightly used, but undamaged condition. 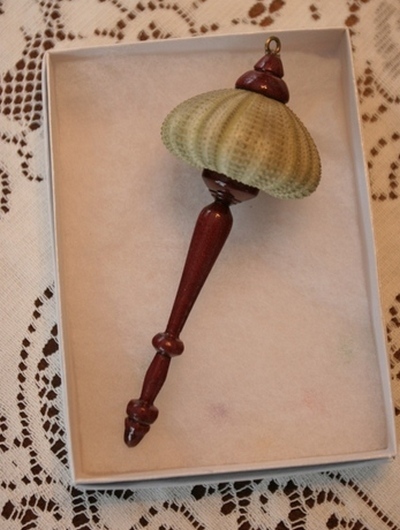 The Top knot & finial are Maple. It's not quite finished, the wood pieces are not glued in place, nor the eyelet installed. Depending on time, Auction is next Saturday, I may make a display stand for this. The usual problem of too many things, not enough time - & I did wait until the end. need to work on that.